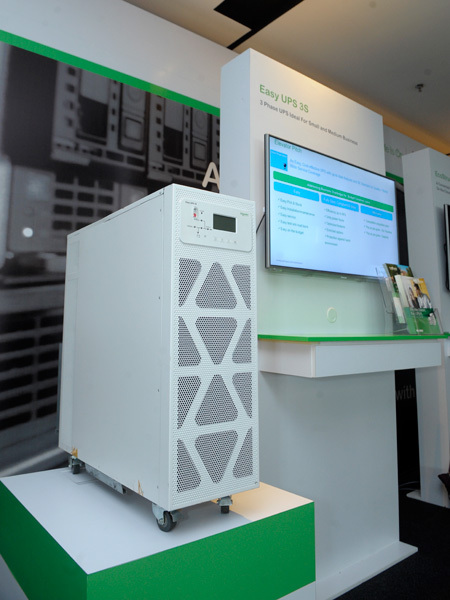 Schneider Electric, the global specialist in the digital transformation of energy management, automation and power protection, introduced the latest APC by Schneider Electric Easy UPS 1 Ph On-Line and UPS 3 series to the local market. The Easy UPS line is a new category of UPSs designed for essential power protection needs even in the most unstable power conditions. With greater digitisation among SMEs, business continuity is increasingly dependent on regulating power outages, surges and spikes. Such power incidents can impact anything from customer service to critical business processes. Many of the small companies are unprepared for business disruptions caused by power blackouts, and are often unaware of the actual costs and impact that they can have on their operations. The financial impacts of even a small power cut can be catastrophic. In 2016, an overnight power outage has interrupted businesses for some 50 factories in the Northern region in Peninsula Malaysia, while a power outage in Southern Johor in 2017 caused businesses to incur losses and malls forced to shut. “Efforts should be put in place to safe-guard power resources and to minimise the occurrences of power disruptions that can result in financial implications to businesses. The impact on the economy can be enormous especially when the demand for energy consumption continues to grow year-on-year,” said Astri R Dharmawan, IT Division Vice President for Indonesia, Malaysia and Brunei, Schneider Electric IT. Easy UPS line addresses a market need we see for a solution that offers best-in-class power availability, reliability, manageability, quality, and convenience for even home users, SMEs, data centres, and manufacturing facilities. We encourage small businesses and manufacturers to look into the usage of technology to be more competitive and resilient in their operations. This is especially when the SME industry is expected to contribute 41% of Malaysia’s gross domestic product (GDP) by 2020 under the SME Masterplan,” added Astri at the Easy UPS product launch. We’ve expanded our UPS portfolio to offer SMEs a high quality, cost competitive alternative for power protection for the most unstable and unpredictable power conditions,” she added. The Easy UPS 3S is an exceptional combination of an optimized footprint design and advanced product features, protecting critical equipment in many environments from damage due to power outages, surges and spikes. 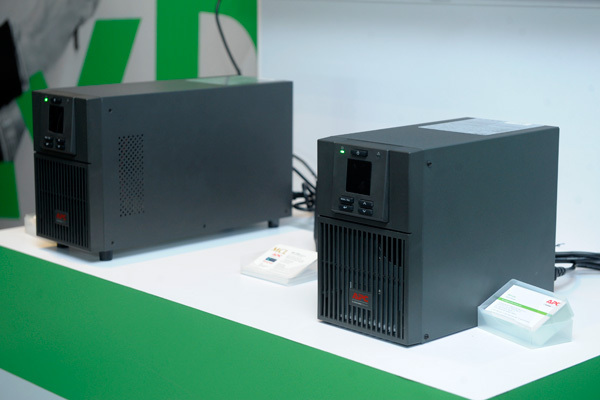 This unit delivers up to 96 percent efficiency in double conversion mode and up to 99 percent efficiency in energy-saving ECO Mode, taking the industry standards for the 10-to-40kVA UPS to a new level. Meanwhile, innovative and user-friendly Easy UPS 1 Ph On-Line is perfect even for home users as well as small to medium businesses. Easy UPS 1 Ph On-Line provides essential power protection for unstable power conditions, ensuring consistent and reliable connectivity at the most critical moments. The wide input voltage range aims to protect against high fluctuations. To learn more about Easy UPS products, please click here. APC by Schneider Electric is the leading brand worldwide for integrated physical infrastructure and software. With a wide array of products that provide reliable power and availability solutions for IT and communications technologies, APC delivers Certainty in a Connected World. With the largest community of partners tailoring solutions for home and distributed IT, APC enables individuals and businesses to anticipate the unexpected, protecting critical information and data.